At many universities, undergraduate access to this kind of specialized equipment is limited. But at Belmont, our research facilities are used year-round exclusively by our undergraduate students, in both teaching and research laboratories. 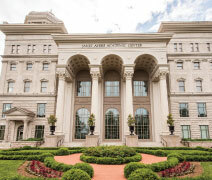 Belmont is a Christian university located in the heart of Nashville, Tennessee, nestled just a few miles from downtown and organizations that focus on careers in the sciences, health sciences, and technology. We are the largest Christian university in Tennessee and among the fastest-growing in the nation, offering over 120 programs of study withmore than 8,300 undergraduate and graduate students from all 50 states and over 36 countries. Every aspect of Belmont—from the robust academic environment to the full range of activities—focuseson possibility. Students thrive in Belmont’s caring Christian environment. Belmont believes that every student is created for a purpose in life, and we are committed to helping students realize their potential. It’s a small wonder so many students tell us they find themselves—and what they mean to the world—here. What makes science and math at Belmont unique? 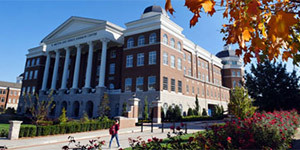 The College of Sciences and Mathematics at Belmont University is comprised of the departments of Biology, Chemistry and Physics, Mathematics and Computer Science, and Psychological Science and is dedicated solely to undergraduate instruction in the sciences. Our faculty excel at developing personal relationships with students and providing opportunities to engage hands-on in the process of science. 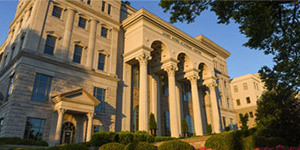 The College is housed in Belmont’s $76 million Janet Ayers Academic Center, which boasts modern classrooms, well-equipped teaching laboratories,dedicated undergraduate research space, and state-of-the-art instrumentation facilities. Students benefit frominstruction in a small-classroom setting by faculty dedicated to teaching undergraduate science students, coupled with opportunities to engage in one-on-one mentored undergraduateresearch. Typically students conduct at least two semesters of research and have the opportunity to present their findings at national or regional scientific conferences as well as the annual Belmont Undergraduate Research Symposium. A variety of opportunities are offered for students to engage in research during the academic yearand during the summer. In addition, students may participate in experiential learning activities through science- and math-related student organizations, internships, study abroad, and service learning. Everything about Belmont Universityis geared toward giving you the freedom to develop your unique strengths and gifts so you can change your world. College of Sciences and Mathematics faculty and staff are dedicated to providing the experiences that make our students highly sought after by graduate programs and employers alike. The combination of excellent instruction in the sciences, including undergraduate research opportunities, and a strong liberal arts core prepares our students with these skills and makes them competitive for employment or graduate study at the national level. Come experience our community for yourself. Talk to students, faculty, and admission staff. Take a tour, visit a class, and see why we boldly claim that Belmont can take you from here to anywhere!